SpecVet does have a built in tool to help you manage duplicate clients. The key with any database system is minimize duplicate or erroneous data. 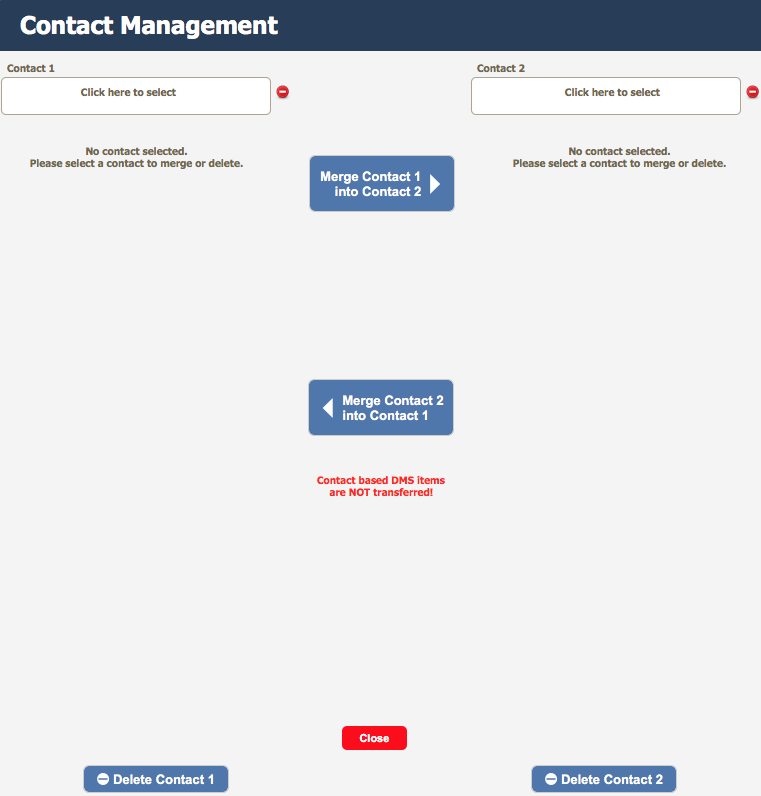 When creating a new contact SpecVet does have built in logic to minimize the potential of duplicate clients. However should this still happen there is a mechanism available for users. Enter the name of the duplicate clients in Contact 1 field and Contact 2 field. A search window is activated to find the appropriate contacts. Under each contact lists the data respective to that client. Typically it makes sense to merge the client with the least data into the one with the most data however individual circumstances may vary. Once you have merged the data it is advisable to delete the unused client to prevent further errors. BE VERY CAREFUL PRIOR TO DELETING A CLIENT. THIS STEP CAN NOT BE UNDONE !